As we continue our three-part blog Personal Injury Lawsuit FAQs, below, we will answer some more of the most commonly asked questions about personal injury lawsuits and settlements. While these FAQs may answer your questions, our Littleton personal injury lawyers can provide you with more specific answers about your case. Should you have questions not answered in this blog, the Littleton personal injury attorneys at Bahr and Kreidle encourage you to contact them with your questions. They are happy to answer all of your inquiries, give you free professional advice about your case and get your case started at no upfront cost to you. Q: How much is my accident or case worth? The extent of mental suffering you have endured due to the accident. Attending an initial consult with a skilled attorney will be crucial to getting a more precise estimate as to what your case is likely worth. A: This is another factor that varies from case to case and that depends on a number of different factors. While more straightforward personal injury lawsuits can be settled as soon as month or two after the case has been filed, more complex cases that end up going to trial can take more than a year to be resolved. Again, you are advised to consult with an experienced attorney for a more specific answer regarding how long it will likely take to resolve your case. 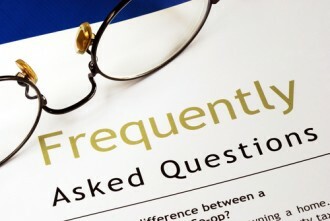 Q: Will my personal injury lawsuit go to trial? A: Most likely, no. While you should always be prepared to have to go to trial, the fact is that more than 90 percent of personal injury lawsuits are settled before litigation. This is because it’s usually more beneficial (and cost-effective) for both parties to reach a settlement, rather than draw out the claim with potentially costly trials. If, however, defendants in a case are unwilling to offer reasonable settlements to personal injury victims or if personal injury victims want to have their day in court, trials will take place to resolve these cases. Don’t miss the final installment of this blog for more personal injury lawsuit FAQs that can shed light on this process for potential plaintiffs. Want to learn more about your rights? If so, our Littleton personal injury attorneys encourage you to meet with us for a free, no obligations initial consultation. For more than three decades, our lawyers have been fighting on behalf of injured people and aggressively standing up against injustice, inequality and intolerance. We are committed to being here to advocate injured people’s rights, help them hold negligent parties responsible and ultimately get them the highest possible settlements for their injuries and losses. A choice to work with the trusted Littleton personal injury attorneys at Bahr and Kreidle can empower injured people and give them confidence that their important legal matters will be resolved as favorably and efficiently as possible.